Winning $1 million must be amazing! But how astonishing would it be if a child won such a sum of money? Well, 12-year-old Grace VanderWaal, a middle school student from Rockland County, New York, can definitely tell you about that. In 2016, the girl made a fortune. The child definitely deserved such a reward for her incredible talent demonstrated at 'America’s Got Talent'. Grace became the winner of 11th season of America’s Got Talent, and her prize was not only the money but millions of hearts from all over the world. Do you wonder what this humble girl did at her audition to impress both the judges and the audience? 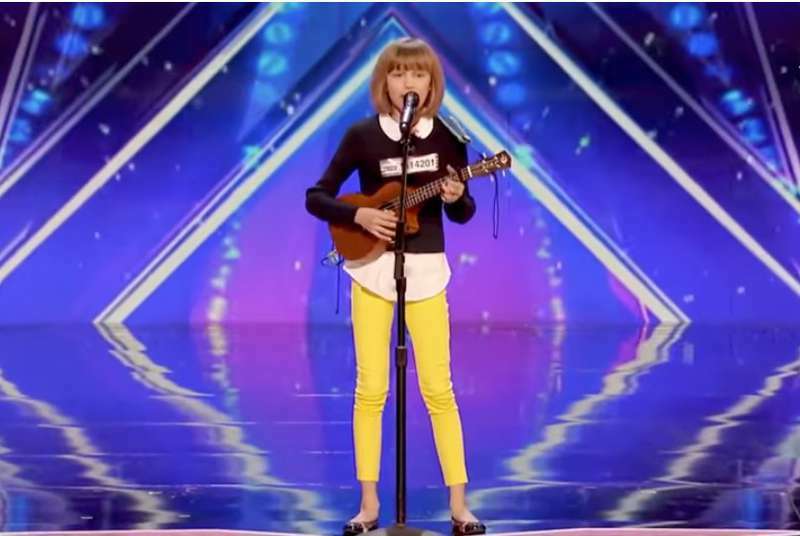 Grace VanderWaal stepped on the stage with her small ukulele and announced that she was going to sing a song she wrote herself. Hearing that such a young girl is a songwriter was surprising enough, but when she started her “I Don’t Know My Name”, everybody dropped their jaws. The performance brought her the Golden Buzzer from Howie Mandel and many credits from the rest of the judges. Throughout the competition, Grace performed several other emotional, quirky original songs. Simon Cowell, one of the judges, called her "the next Taylor Swift". At the finale performance, she sang her tune “Clay”, and it hit everyone’s heart with a perfect ring. Grace won not only Season 11 but also a headlining show in Vegas. Now, the girl wants to donate some of her prize to charity. Not bad for a 12-year-old, right? One more interesting fact about Grace: she bought herself ukulele and learned to play by watching YouTube tutorials only. She is a gifted child, indeed! In case you’ve missed any of her amazing performances, here’s a video for you to catch up on.